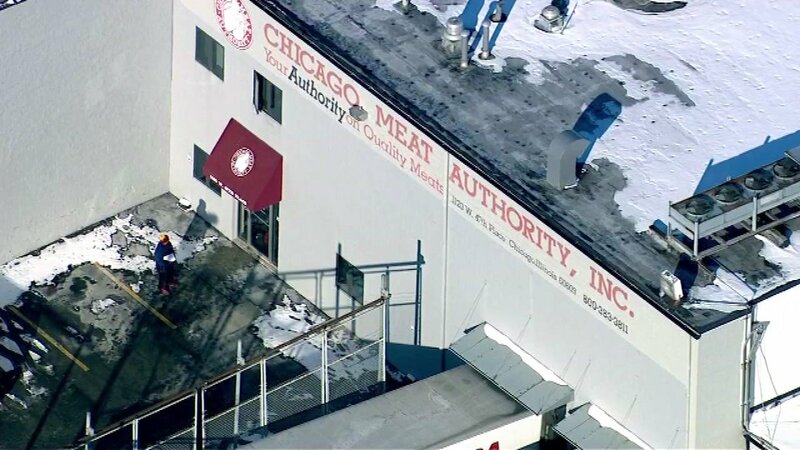 CHICAGO (WLS) -- Seventeen people were hospitalized after a carbon monoxide leak at a meatpacking facility on the city's South Side, the Chicago Fire Department said. Five ambulances were sent to 1120 West 47th Place in Chicago's Back of the Yards neighborhood after a report of several people having a hard time breathing. The Chicago Meat Authority is located at that address. More ambulances were sent to the scene around 20 minutes later. Chicago Fire Department Spokesman Larry Merritt said a malfunctioning fan caused CO to back up in the building shortly before 9 a.m.
Fire officials tweeted around 9:45 a.m. that the situation was secured. Eight people were transported to the hospital in good condition, five in fair-to-serious condition and four in serious condition, Merritt said. One person refused treatment at the scene. ABC7 Eyewitness News will update this story as more details are made available.